After receiving his diploma degree in computer science, Stephan started as a researcher at Digital Equipment (hey, do you still now them?). He joined the start up scene in the year 2000 by joining the LinuxTV pioneers convergence as the CTO. In 2006 Stephan started his own company GMIT leveraging his experience in setting up a company developing products for digital TV. Selling this company successful in 2012, Stephan relaxed a little bit still consulting start ups in the area of business development and product management. Now, joining kleinlabs he puts all his workforce and experience in this new exciting project. 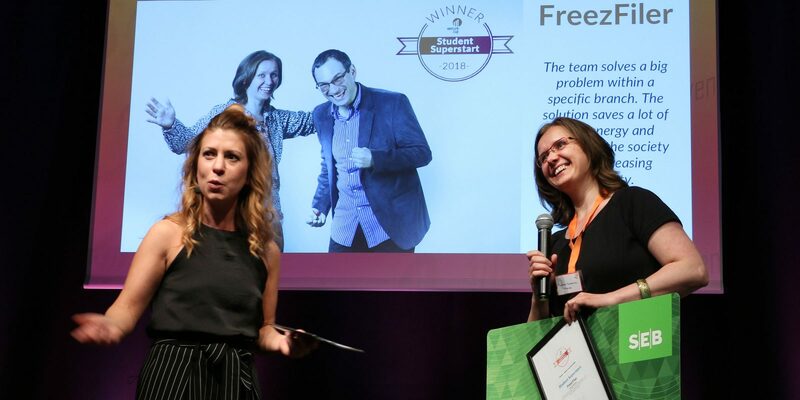 FreezFiler wins Student Superstart award at Venture Cup STARTUP 2018 nordic finals! Yes we did it again! 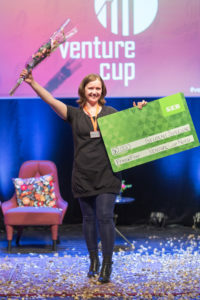 Barbara introduced the FreezFiler project at the Venture Cup STARTUP 2018 nordic finals and we won the Student Superstart award! Once again a big thank you to Uminova for supporting us to get so far! See you all in Stockholm September 12th for the Venture Cup 2018 finals. FreezFiler is in Venture Cup STARTUP 2018 Nordic Finals! FreezFiler is among the nominees for the regional Venture Cup STARTUP 2018 finals in Luleå! The regional finals will take place on 22nd of May 2018. Barbara and Stephan have been on Analytica to get feedback on the FreezFiler solution. We used the video to show potential partners how it works and the feedback was great! The people were amazed about the simplicity and the potential of the setup and we got a lot of positive statements. But not only that: we also got the ideas for new applications and integration with existing solutions. Thank you all for that! After some days of heavy work, we are proud to present our new introduction video. 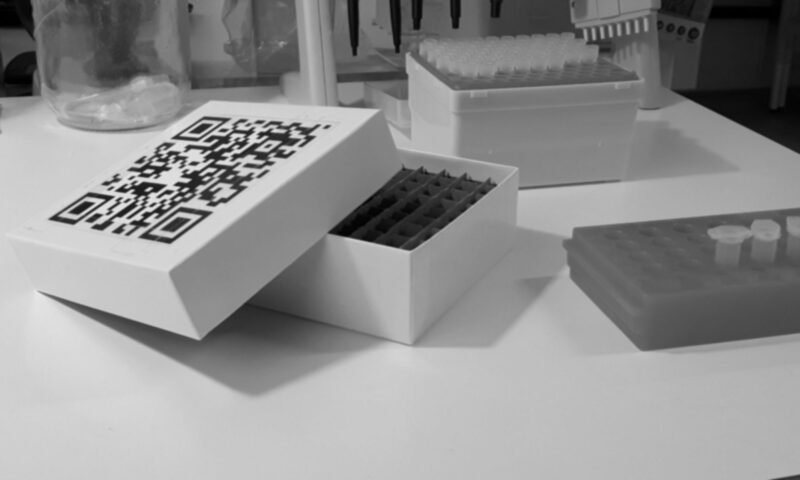 With a length below 3 minutes, it should give you all the information you need to understand, how FreezFiler work and what benefits it brings to your daily life in the lab. We hope you like the name. And even like our new logo for it. Stay tuned. At the Startup Demoday held today in Allstar Cafe in Umeå, Barbara Terebieniec introduced the SmartFreezer project and gave an impressing introduction of the idea to the audience. 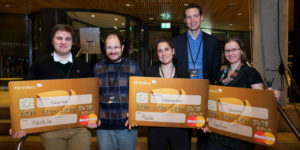 Also in the direct interview with the jury, Barbara was convincing and so SmartFreezer was selected for the second place and gained a support of 10.000 SEK. “I am proud and happy that our idea finds supporters everywhere, we are introducing it”, states Barbara later after the announcement of the winners at Umeå Tech Arena.